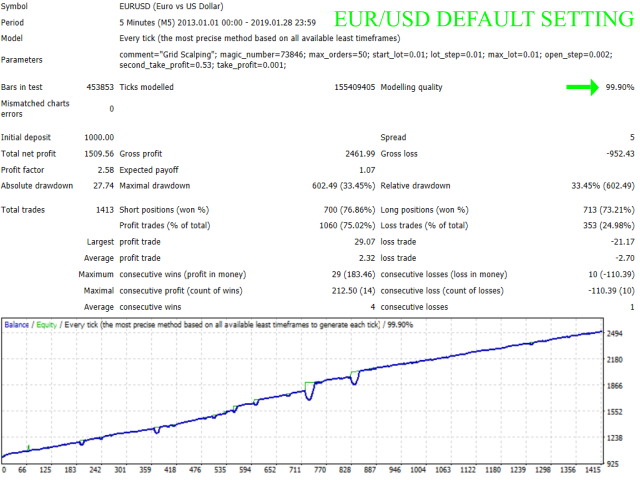 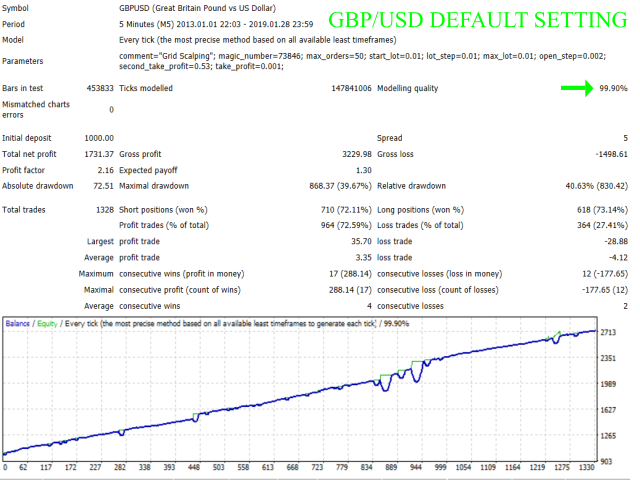 Grid Scalping is fully automated Expert Advisor that use a new and professional algorithm called M.M.P. 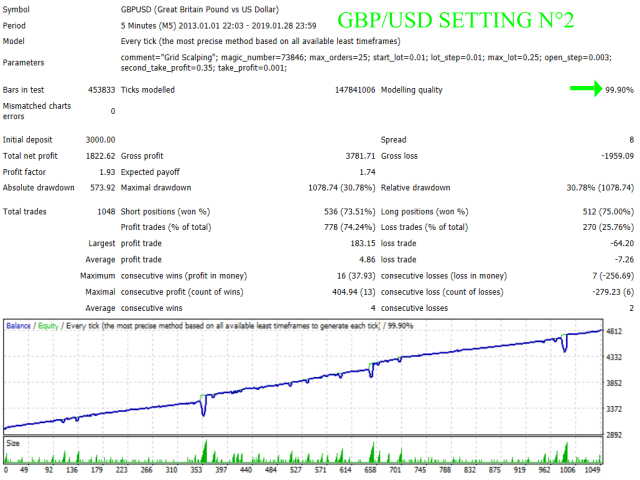 Grid Scalping was developed and tested on eur/usd, gbp/usd, usd/jpy, usd/chf on a 5 minute timeframe. 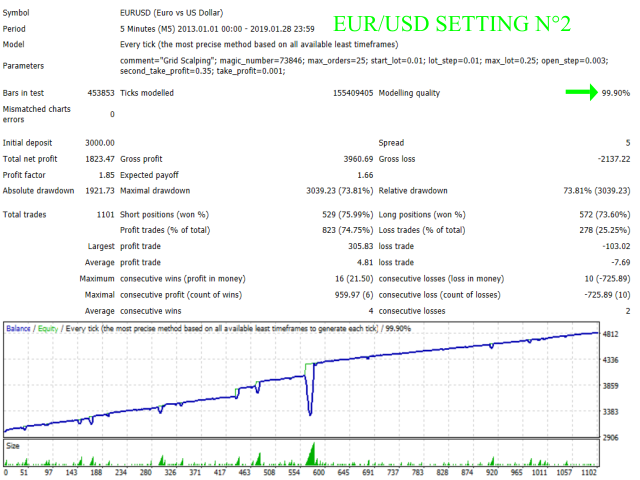 To increase lots (exemple: 0.2 lots) set start_lot and max_lot to the same value (exemple: start_lot = 0.2 max_lot =0.2).